Spring is here and so are warmer temperatures. That means it is growing season and fresh, local fruit is on it’s way!! To stay hydrated during the warmer months I love making my own fruit and herbal infusions. My favorite way to drink enough H2O in my day is by making fruit waters. 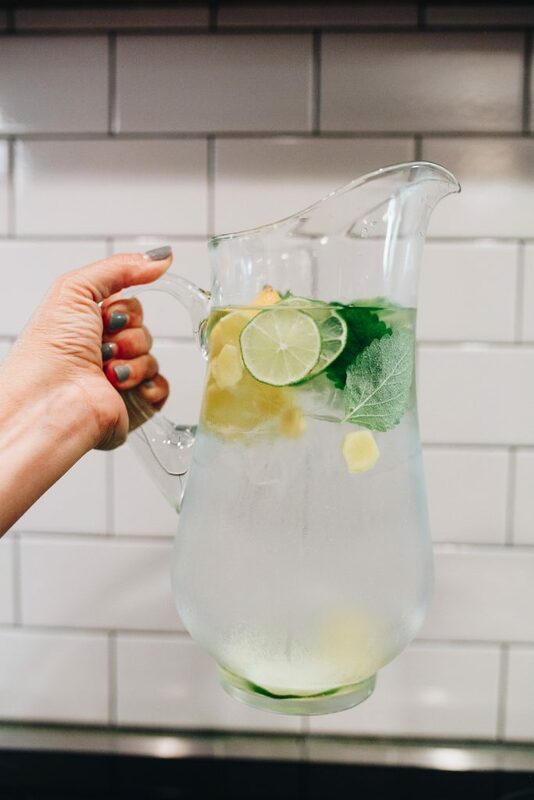 A fruit water is just fruit infused in cold water. I like to use the fruits in season and add some fragrant herbs to compliment the fruit flavor. 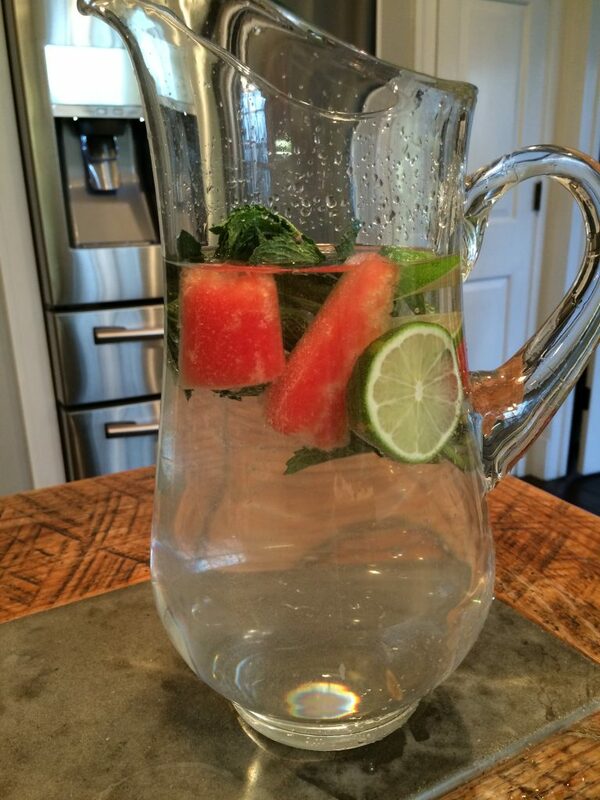 It doesn’t take very long for the water to take on the flavor of the fruit you have chosen. Just add fruit and herbs to room temperature or ice water and let sit for a few minutes and you have a delicious infused drink. My favorite combinations are Peach, Blueberries and Thyme; Cucumber, lemon and Mint or Strawberry and Basil. All of these are fantastic. and Watermelon, Lime and Mint. My herb garden had been completely taken over by Lemon Balm so I am using it as much as I can. There are so many options but this is an amazing time of year to use the spring and summer fruits fruits and herbs to make many variations of fruit water. Let me know if you come up with some new combinations so I can share them on the blog. Happy Spring and Stay Hydrated! !